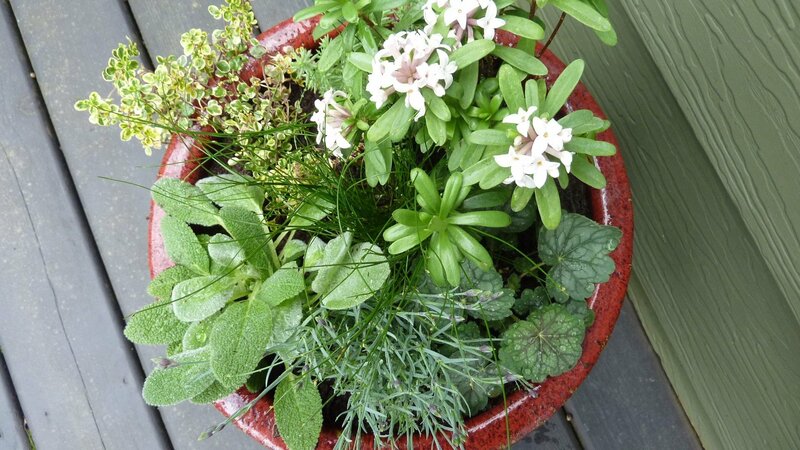 Container Garden Design for Portland, Oregon homes & businesses. This summer planting is positioned in part-shade in an elevated shallow container that allows the plants to trail down the sides. 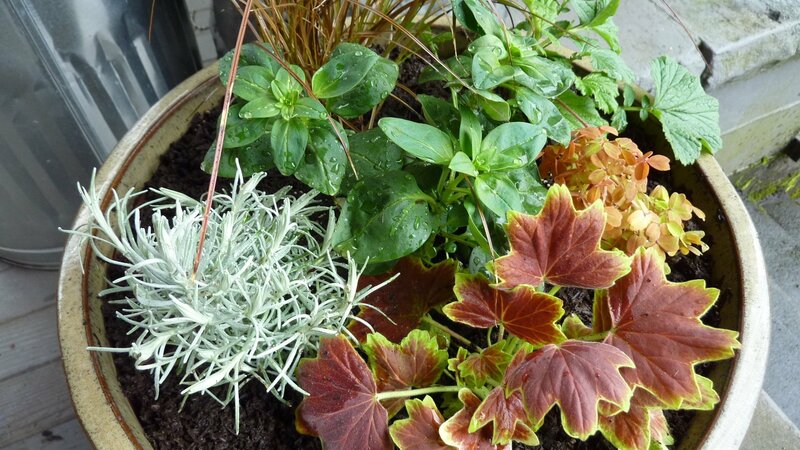 It contains an easy-maintenance, foliage-centric combination of annual plants that don’t require anything other than occasional water during the growing season. 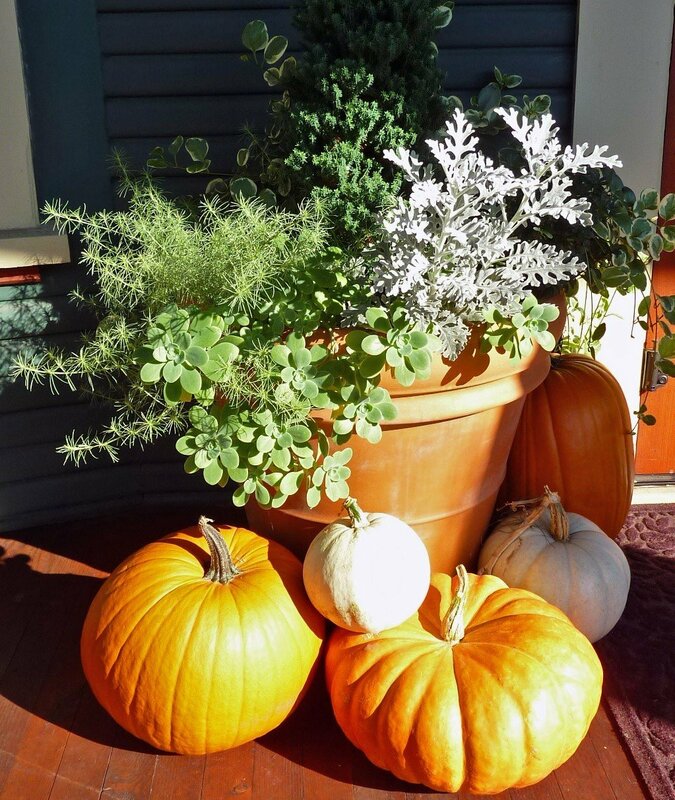 This front porch container design looks great not only through the summer months, but into autumn & winter. The central plant is a conifer that changes foliage color in colder weather, and all but one featured plant return year-after-year. 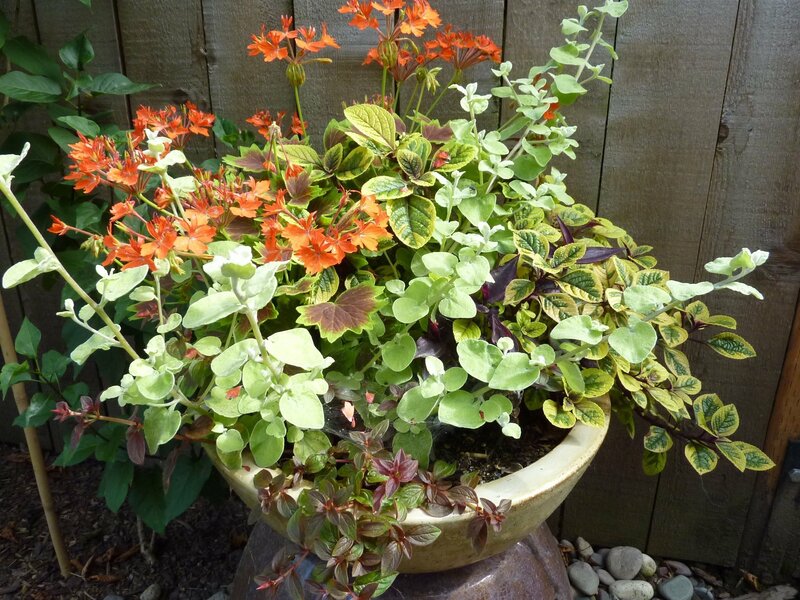 That one plant can be changed out with the seasons to provide a pop of texture or color. This planting was done as a gift for the new homeowner! It lives right outside the back door so is enjoyed every time the homeowner enters the house. It was planted in early Spring (shown here) and filled in as the season progressed. All of the plants are perennial, but can be changed out as desired for seasonal interest. This container is part of a pair that flank the front porch of this vintage Portland home. Planted in early spring they contain early pops of color that only get better as the season progresses. This planting is a mixture of perennial and annual plants, so that the containers may be updated to celebrate new seasons. This planting was done for a container that only gets afternoon sunshine, and greets the homeowners at the front door. 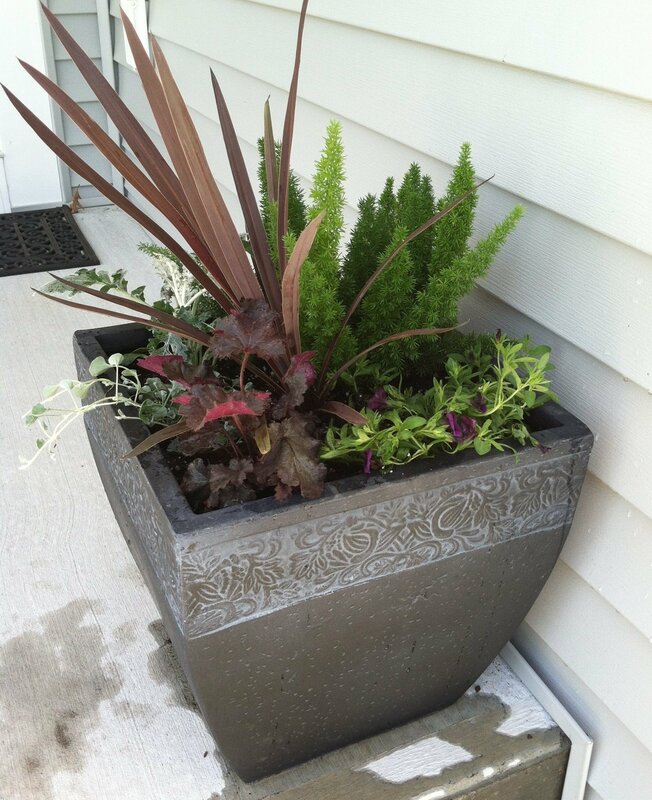 The dark planter sets off the plants nicely and provides continuity with the elegant design of this new home. Most of these plants are annuals, and the design will be refreshed for the colder season.